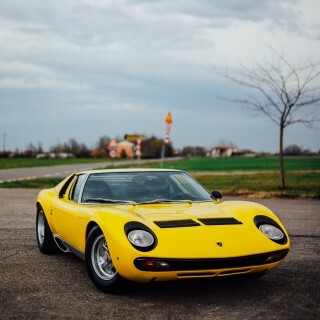 Lamborghini’s factory restoration department, Polo Storico, has just completed the full restoration of this Miura SV, ready to hand back to its owner–none other than former rally co-driver, Ferrari F1 team manager and now FIA president Jean Todt. 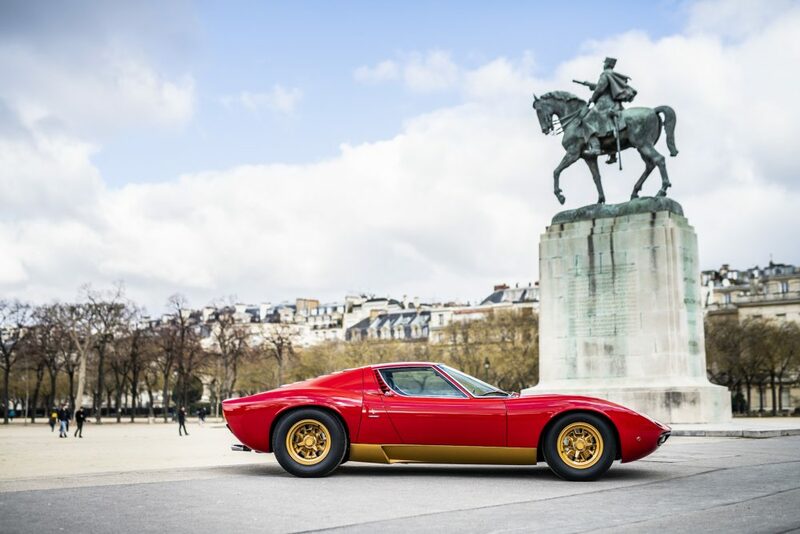 The Miura, chassis number 3673, was finished on 11 November 1972, taking the chassis number of a 1968 Miura S that had been destroyed in an accident. 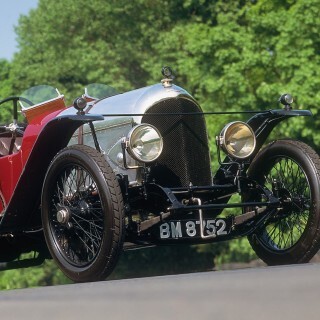 As strange as this sounds, the use of a previous chassis number wasn’t unusual in those days among sports car makers. Often it was done to protect a customer from the high import taxes on new vehicles in certain countries, or sometimes it was just for practical reasons, eliminating the need for new registration and the documentation that went with that. 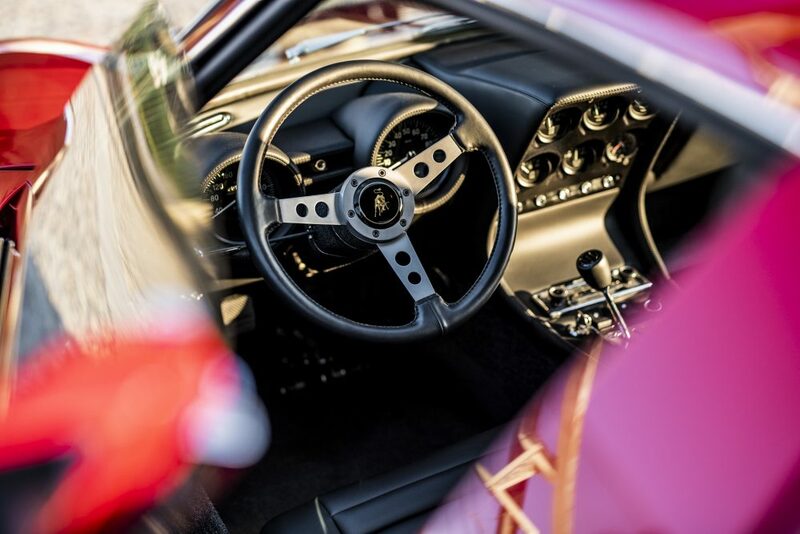 It was painted in Rosso Corsa with sills in gold and the interior finished in black leather, and delivered in late 1972 to its first owner, a Mr Mecin, in South Africa. 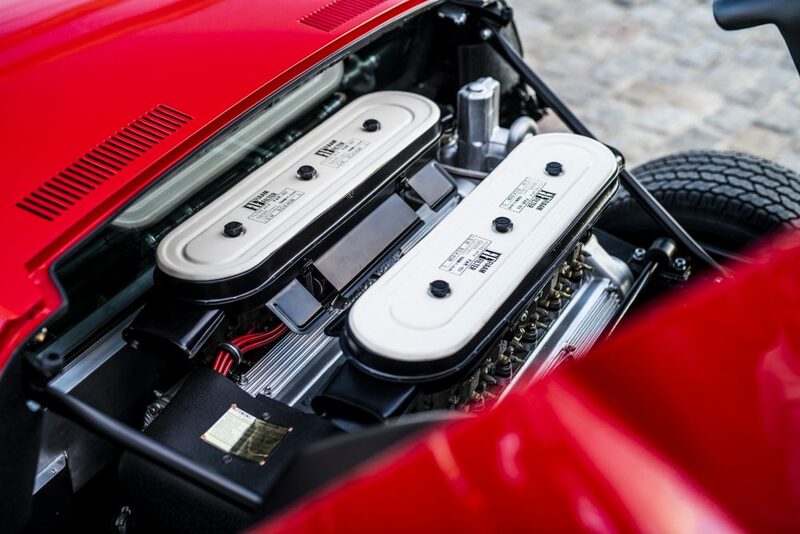 When it arrived at the Sant’Agata Bolognese factory for the restoration, it was complete but showing signs of wear and tear, so the focus was on repairing and restoring rather than replacing parts. 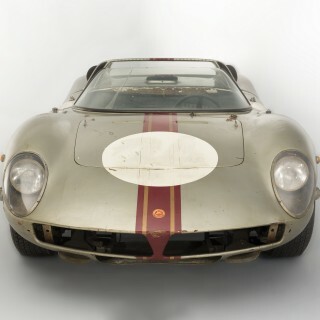 The restoration took 13 months: it was completely stripped down, allowing the verification of the markings of the frame, body, and interiors, to the numbering and dating present on the other components. These were then compared against the assembly notes on the car in the Lamborghini archives, and the car restored to original specification. 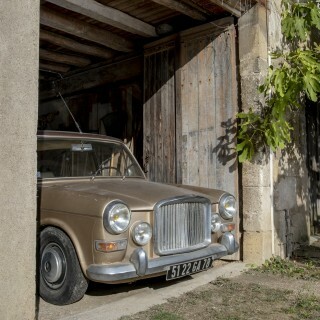 Now it’s ready to be handed to owner Jean Todt, whose motorsport career started in 1966 when he co-drove with Guy Chasseuil. He went on to co-drive with Rauno Aaltonen, Ove Andersson, Hannu Mikkola and Timo Mäkinen, winning the manufacturers’ World Rally Championship with Talbot, and achieving runner-up in the drivers’ World Rally Championship. He then became Director of Racing for Peugeot, responsible for the Peugeot 205 Turbo 16, Peugeot 405 Turbo 16 and Peugeot 905, in Group B rallying, Paris-Dakar and Le Mans. 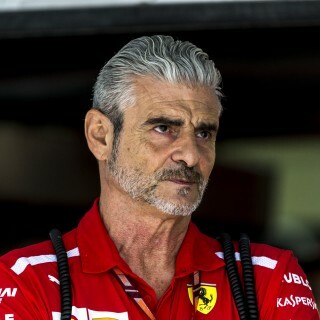 In 1993 he became the first ever non-Italian to head Scuderia Ferrari, returning the team to winning form, helped by his recruitment of Michael Schumacher to the team. He joined the FIA in 2009. 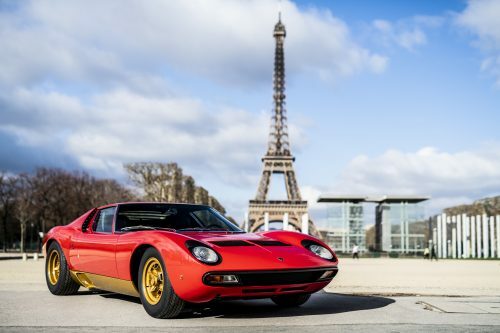 His freshly-restored Miura was unveiled at the Paris Rétromobile show, and will be delivered to him at the end of the show.